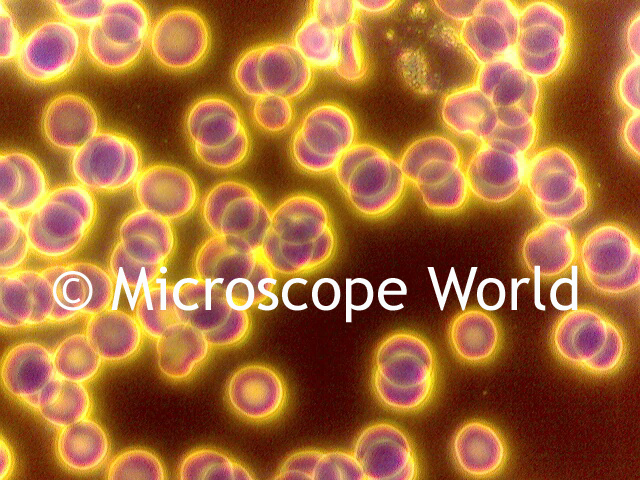 These images of live blood cells using darkfield were captured with the BA310 phase contrast microscope at 400x magnification. The Moticam X wireless microscope camera was used to capture the images. Live blood cells under darkfield microscope.